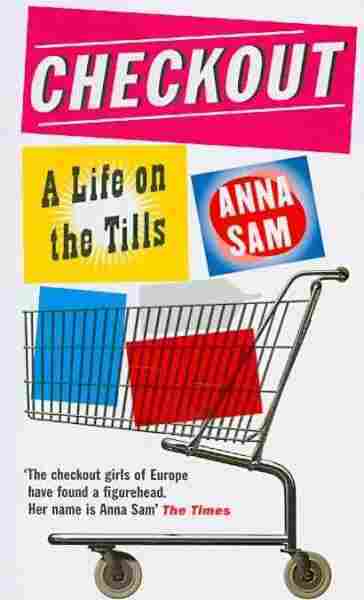 'Checkout' Girl Anna Sam Cashes In With Bestselling Memoir In a kind of supermarket Cinderella story, a cashier in France has become a literary sensation. Anna Sam has turned her ungratifying job into a humorous memoir. 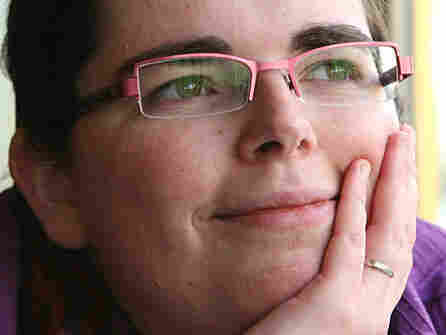 Now, her book has been translated into 16 languages and turned the 29-year-old into the author she always wanted to be. Anna Sam began working as a cashier during college to support her literature studies. When graduation came and went, no other jobs were available. So she stayed on — and on. Now she's the author she always wanted to be. In a kind of supermarket Cinderella story, a cashier in France has become a literary sensation. Anna Sam has turned her ungratifying job into a humorous memoir. Now, her book has been translated into 16 languages and turned the 29-year-old into the author she has always wanted to be. It's lunchtime and your first customer of the day is stuffing his mouth with a tuna salad sandwich. Chewing noisily, his mouth wide open, you get a glimpse of every ingredient. When you ask to borrow his sandwich for a moment to scan the price, he takes one more giant bite before handing it over. So what's a little mayonnaise on your fingers and crumbs on your register? Sam presents other shopper types — like the mothers who regularly warn their children that if they don't shape up they'll grow up to be nothing but a cashier, and the sleazeballs who hit on her while trying to steal CDs hidden inside their boxes of Camembert. Despite the indignations, Sam says in some ways the job actually made her feel good about herself. "It's a job where you see every people; it's a job where no one sees you. You see families very happy, families very sad; people are very nice, people are very bad. And at the end of your day, you say, 'Oh my god, I'm happy because I have a normal life; I'm better than I thought,' " she says. In another chapter, Sam describes how scanning groceries can even help you get rid of those unwanted love handles. By taking a job as a cashier you have also chosen the best route to a super new shape. The cashiers' perch is the perfect place to tighten those buttocks, build those biceps, and yes ladies, even firm up those breasts. Just compare yourself to a customer or a new checkout girl who doesn't have the firming experience you have behind you. 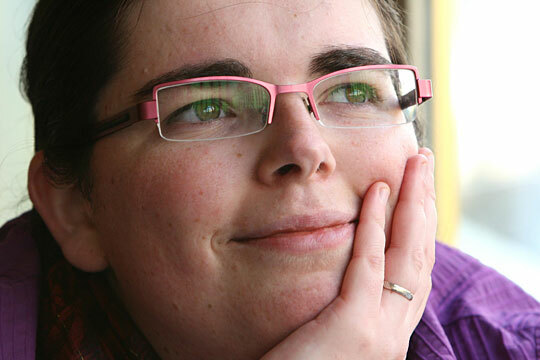 Sam began working as a cashier during college to support her literature studies. When graduation came and went, no other jobs were available. So she stayed on — and on. Five years passed. The work was ungratifying and mind-numbing — until she decided to write about it. "I started to see my job different and to see differently people. When you start to explain it with humor, people say, 'Oh, what a funny blog, what a funny diary.' I think everything we live can be funny. We just have to see it with the good eye," she says. Sam first started writing in a blog where she provided a running account of what went on in the world of a cashier. Her blog, Cassiere No Futur, attracted a large number of readers, then newspaper reporters. Soon, publishing houses took note, and Sam had several book offers. Since her first book, Sam has become the toast of TV and radio talk shows. With her recently published second book, which is also about the supermarket world, Sam has now left her till behind for good. It wasn't all bad, she says. As evidence, she reads one of her favorite chapters about how the cash register beeping could sometimes transport you into a dreamlike state. The store is packed, shoppers rush to and fro — their grocery carts squeak and rattle. A voice over the intercom barks out the latest sales promotions over a backdrop of jangling Muzak. The general brouhaha intensifies. The store is approaching its maximum sound threshold. The squalling of a brat tips it over the edge, opening the passageway to this other dimension. Sam says her success has been a wonderful surprise. She is heartened to hear from cashiers who say they now find hope and humor in their daily grind. But what makes her happiest, she says, is that people tell her they now treat the checkout girl with respect.